You’ve probably heard people say, “I’ll believe it when I see it with my own eyes.” The eyes are a poor benchmark for truth. I saw someone walk on water today. When I get closer, I realize that whoever is walking on water is actually standing on something. Then I feel better about being wet and cold. When you try to explain that sin, not God, causes everything evil and bad in the world, they don’t want to hear and they refuse to accept. Instead of honestly seeking the truth for themselves, they laser beam their energy to cut down your spiritual foundation of faith and truth. Don’t fall into that trap. The proof is in our hearts. When we have Jesus in our hearts, we know He is there. Nothing including vitriolic attacks or faulty accusations and arguments from the world can shake our faith. We know that we know that we know. The evidence of God’s existence is everywhere in every part of the earth. 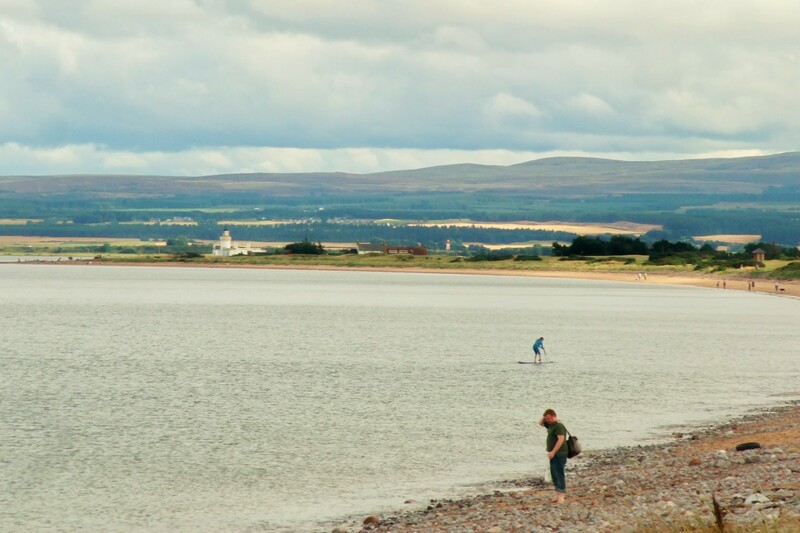 Here in the lovely Black Isle of Scotland, God’s voice speaks from the water. His creation reflects His glory in color and beauty in every rock, on every hill, in the soft petals of each flower blossom and along the flaming rims of sunrises and sunsets. God is as close as the next heartbeat the next breath. But it’s hard to convince someone who doesn’t want to hear or see for fear of losing their own authority and giving place to God. So when you think you see someone walking on water, look into your heart and see what your spirit has seen. Trust the evidence of God in your heart whether He speaks in a still small voice or in the mighty roar of storms and waves. Posted on August 15, 2013 by authorstephanieparkermckean •	This entry was posted in Uncategorized and tagged atheists, Bible, Black Isle Scotland, Christians, eyes, god, Jesus, Moray Firth. Bookmark the permalink.